Our God speaks to us in many ways that cannot be put into words. He splashes colour across the skies that lifts our hearts. We feel his comfort through the sound of a dove or the soft feel of a kitten. 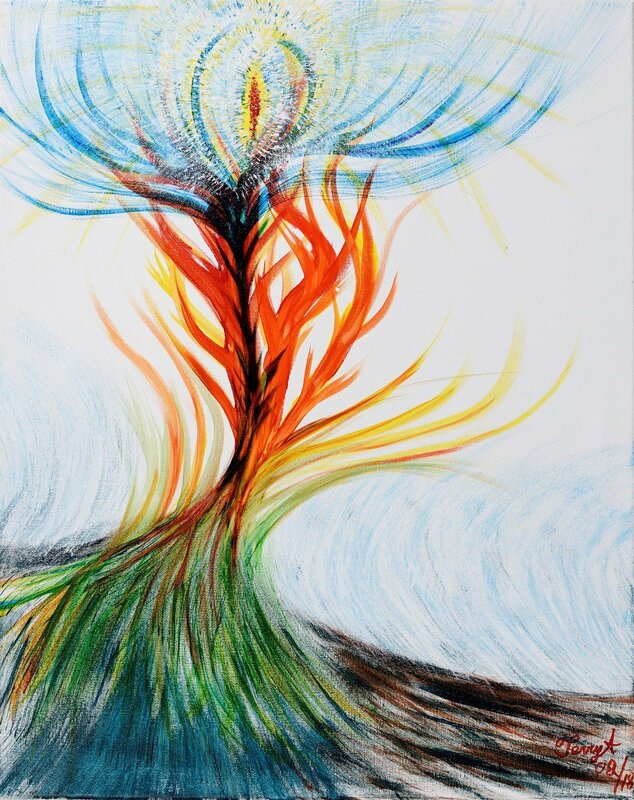 Our goal at Burning is to deepen our experience of God through exploring creativity, allowing scriptures, sound teaching and the Holy Spirit to be our guides. We welcome painters, dancers, knitters, photographers, flaggers, jewelry makers, sculptors, writers, crafters; even teachers, entrepreneurs and parents. God has creative solutions for every area of life, so Burning is not just for creatives. 20 minutes to share. Most will get similar messages or colours from the Lord.